The European Union’s trade surplus with the United States and its deficit with China both increased in January, serving as potential fuel for trade conflicts between the world’s largest economies. 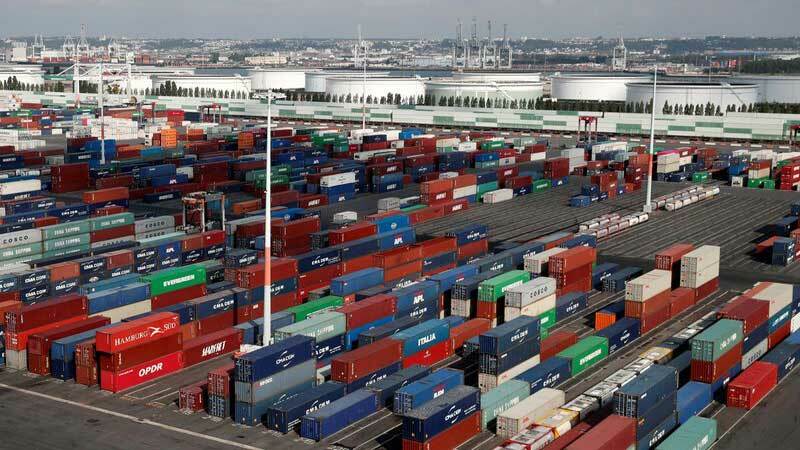 The EU surplus in goods trade with the United States expanded to 11.5 billion euros (10 billion pounds) in January, from 10.1 billion in January 2018, EU statistics office Eurostat said. With China, the EU deficit also increased to 21.4 billion euros, from 20.8 billion euros a year earlier. US President Donald Trump has complained repeatedly about Europe’s trade surplus with his country, imposing tariffs to curb imports of EU steel and aluminium and threatening to do the same for the much larger trade in cars and car parts. China’s trade surplus with the European Union is also a source of tension between the two, with the bloc taking a firmer line towards Beijing, for example setting out a 10-point plan to balance economic ties and pushing China to open up As a whole, the EU trade deficit in goods was 24.9 billion euros in January from 21.4 billion euros in January 2018. For the euro zone, its trade surplus dropped to 1.5 billion euros from 3.1 billion euros. On a seasonally adjusted basis, the euro zone’s overall surplus rose slightly on the month and the EU’s trade deficit dipped in January compared with December 2018.